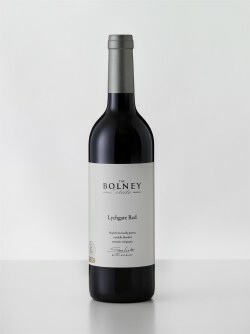 Celebrate Easter this year with Bolney Wine Estate. Bolney Wine Estate is an English Vineyard based in West Sussex that produces top quality red, white and sparkling English wines. Perfect for Easter is the Bolney Lynchgate. This medium bodied dry wine has aromas of blackberry, black cherry and peppery spice. The palate shows ripe blackcurrant and red berry flavours with herbaceous character held together with good tannic structure. There is also a smooth, smoky and velvety finish. It works beautifully with soft cheese, lamb, game, red meats and cheese. For Easter, it is the perfect accompaniment with Easter lamb and milk chocolate. The RRP for Bolney Lynchgate is £16.99. Boney Estate also has a wonderful range of white and sparkling wines that can be enjoyed this Easter. These are ideal if you are looking for an Easter gift different from the usual chocolate. Bolney Estate also offer gift experiences where you can walk amongst the vines, experience state of the art winery and enjoy wine tasting. You can also choose packages to include afternoon tea or a wine and food matching lunch. To see the full range of wines and gift experiences visit www.bolneywineestate.com.